Lanvin - One of my favourite fashion houses - the flagship store isn't to be missed. Take a peek at the bridal collection and collectable dolls and leave with a little stationery souvenir. Petit Bateau - A French staple, 'Little Boat' is filled with lovely stripes and other basics for men, women and children. Colette - An absolutely amazing and incredibly stylish concept store. Le Mont Saint Michel - A sweet French label famous for their knitwear. Pont des Arts - The famous, very romantic bridge where couples leave engraved locks. Pont Neuf - The oldest standing bridge on the Seine. The reason I was really excited to go here is thanks to Jason Bourne in The Bourne Identity. I love how he watches the bridge from the roof of La Samaritaine. Musée du Louvre - The largest museum in the world, with an impressive collection of prehistory to 19th century art. The Louvre houses both the Venus de Milo and the Mona Lisa, but it also has an amazing ancient Egyptian collection. 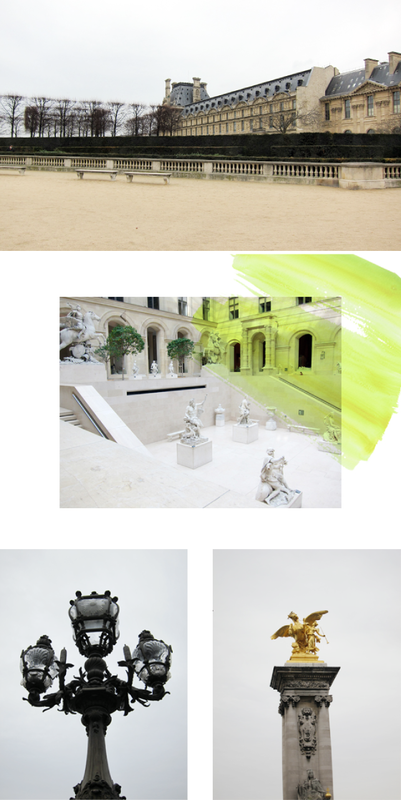 Musée de l’Orangerie - A beautiful museum in the Tuileries which houses Claude Monet's breathtaking water lilies. Pont Alexandre III - One of the most beautiful bridges in Paris with stunning gilt bronze statues and ornate lamps. 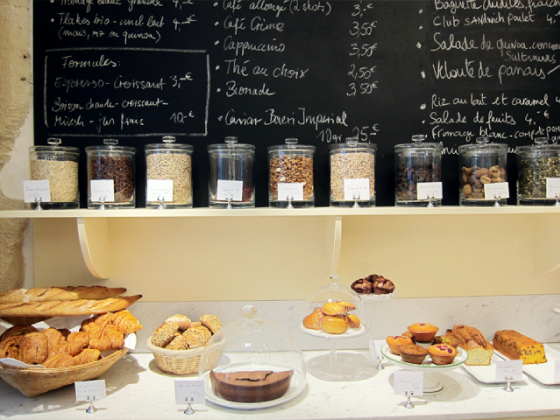 Claus - One of my favourite cafes in Paris; I recommend the Claus breakfast set. Thaim - A lovely, tiny Thai restaurant with a daily set menu. There is a set entree and dessert with a choice between meat, poultry or fish for the main. Make sure you book in advance. Bistrot Victoires - We went here for lunch during our day at the Louvre, it's great for traditional and affordable French fare. The duck confit and steak frites were both delicious. Club Silencio - A visit to Paris wouldn't be complete without a dance at David Lynch's famous nightclub. Arrive from midnight when they begin letting non-members in and enjoy the interiors and live music. The cocktails are expensive and a bit too conceptual but the club in itself is a dream. To read part one of Talisa's Paris Travel Tips, click here. To follow her on Badlands, click here.